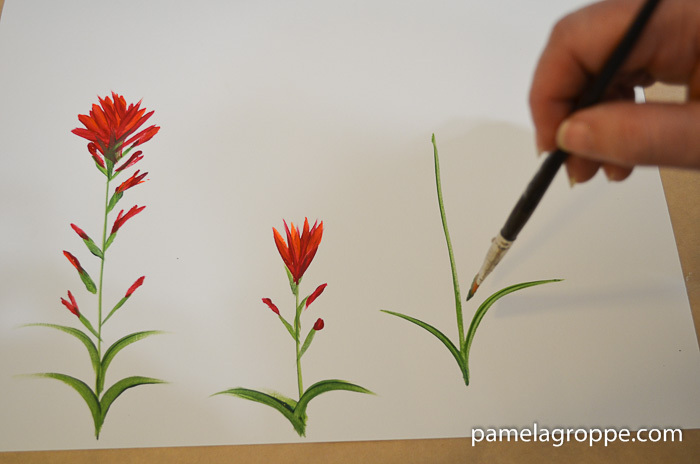 How to Paint Indian Paintbrush in acrylics. A simple yet fun painting tutorial. 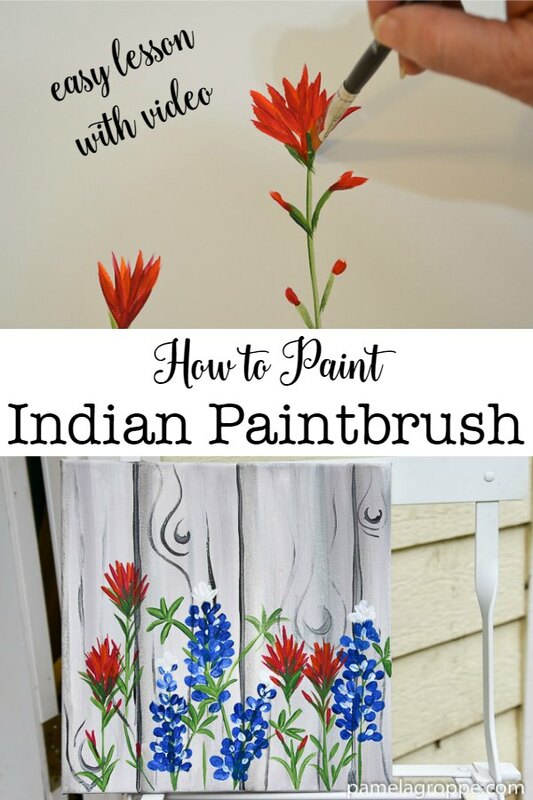 Learning how to paint Indian Paintbrush flowers is easy and they pair so well with the Texas Bluebonnets we painted last time. 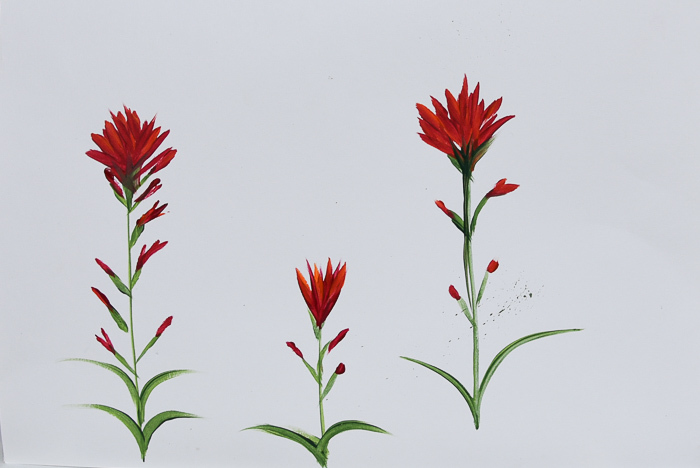 Painting this wildflower is just a matter of breaking down the elements. 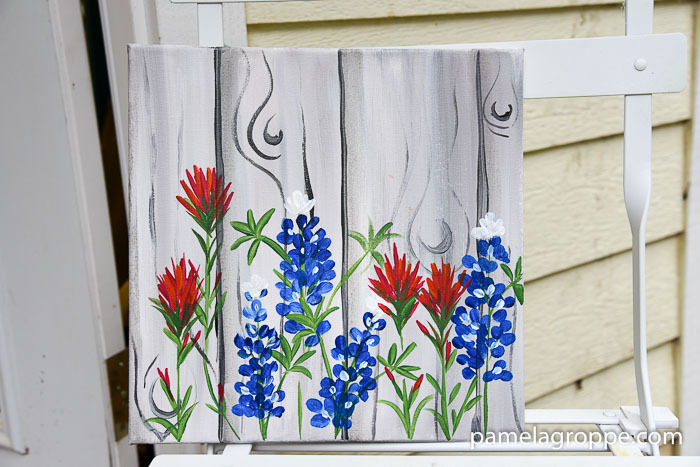 Paint them with the Texas Bluebonnets for a wildflower landscape. 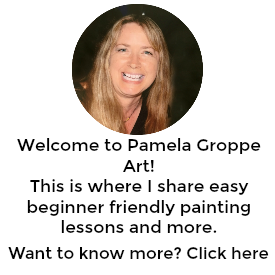 A full supply list and video is included at the end of this post. 1.Double load a flat brush with two colors of green, a lighter and darker shade. 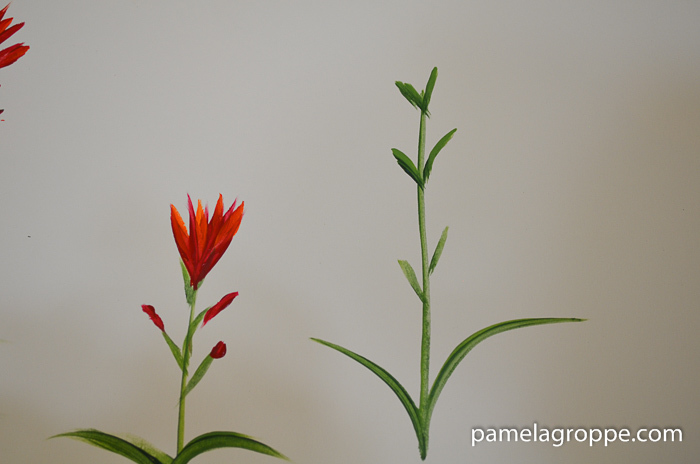 On the chisel edge of the brush pull up to the height you want your flower. 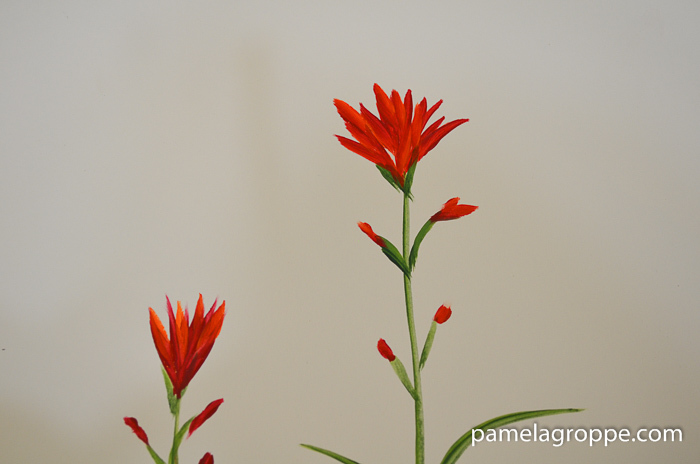 Be random with the side shoots, look at photos of Indian Paintbrush to get an idea, no two are exactly alike so don’t sweat it is yours is not exactly like mine. 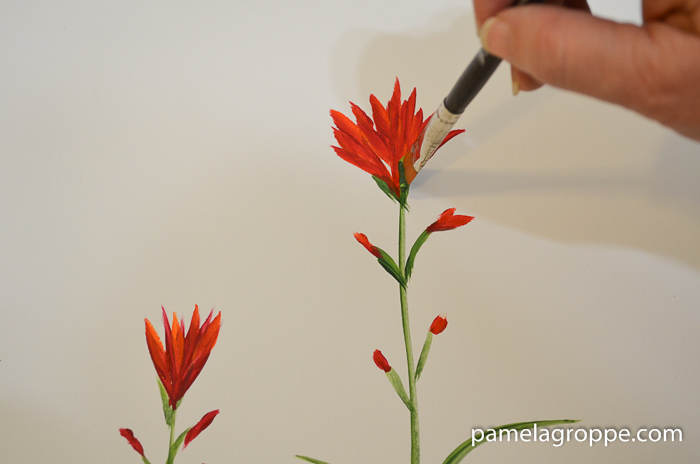 Using chisel edge strokes pull in the buds along the stem and start adding petals to the top. 5. Double load your brush with the greens. 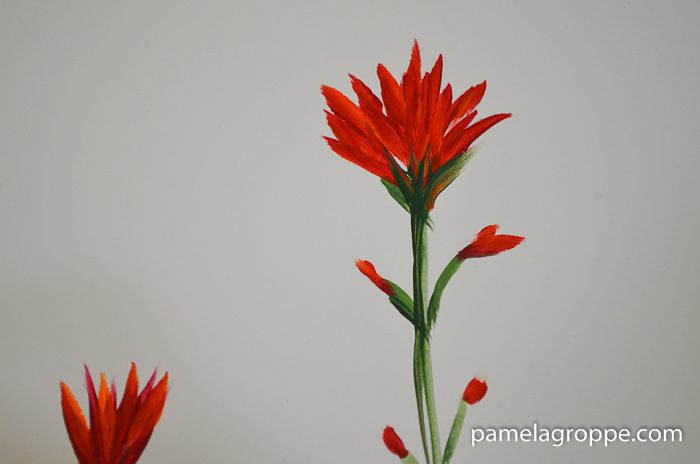 Add some chisel strokes over top of the base of the red/orange flower. This will work better if you have let the flower dry. Step back and see if you need to add more green or if you are satisfied with it. Remember less is more so restrain yourself from adding too much. 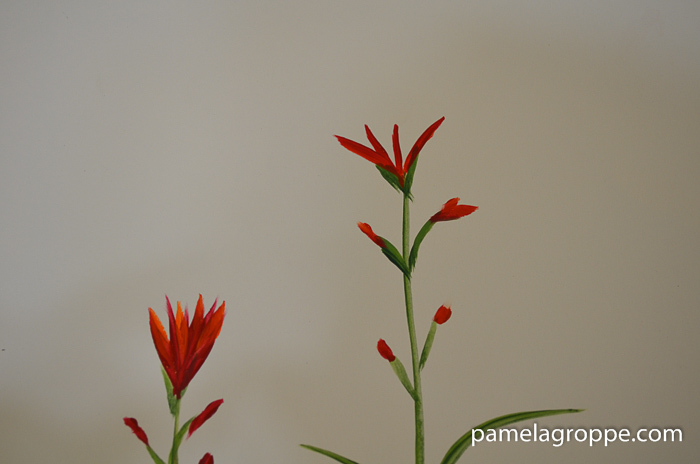 You can see below that the Indian Paintbrush and the Texas Bluebonnets really look wonderful together just like they grow wild on rocky hillsides and in fields! 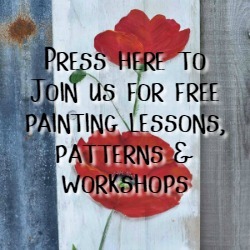 To learn how to paint the Faux Wood background click here.